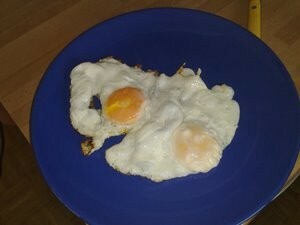 Put the frying pen on a cooking plate and set the highest temperature. 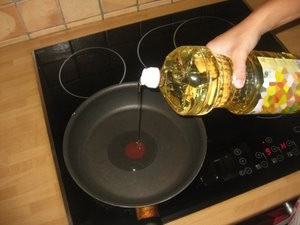 You can also use butter if that's what you prefer or you don't have oil. 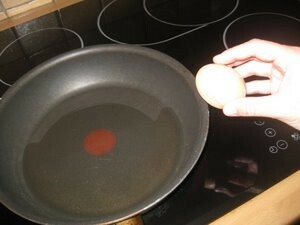 Break the egg by hitting the edge of the pan carefully (see picture). 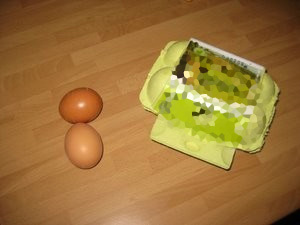 Carefully open the egg and pour it into the pan. 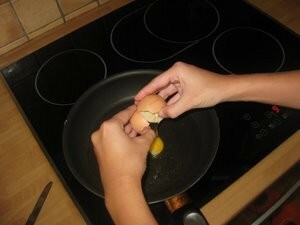 Do the same wit the rest of the eggs. You can also add pepper and rosemary. 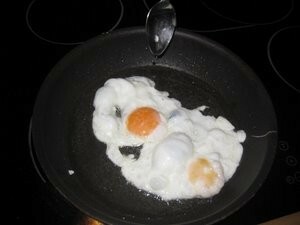 You can take the spoon, scoop the oil in the pan and pour it oever the eggs if you want the top to be done well. 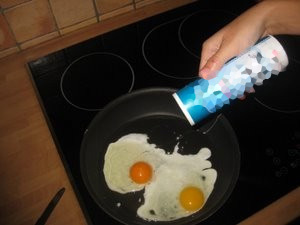 You can skip this step if you don't want your eggs to be well done. 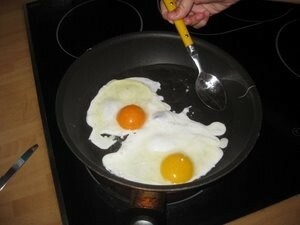 When the eggs are done, a brown color appears at the edges of egg white. 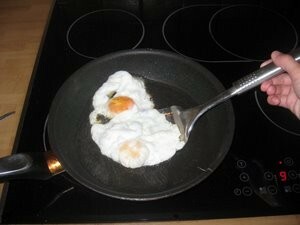 Use a spatula to take the eggs out of the pan.